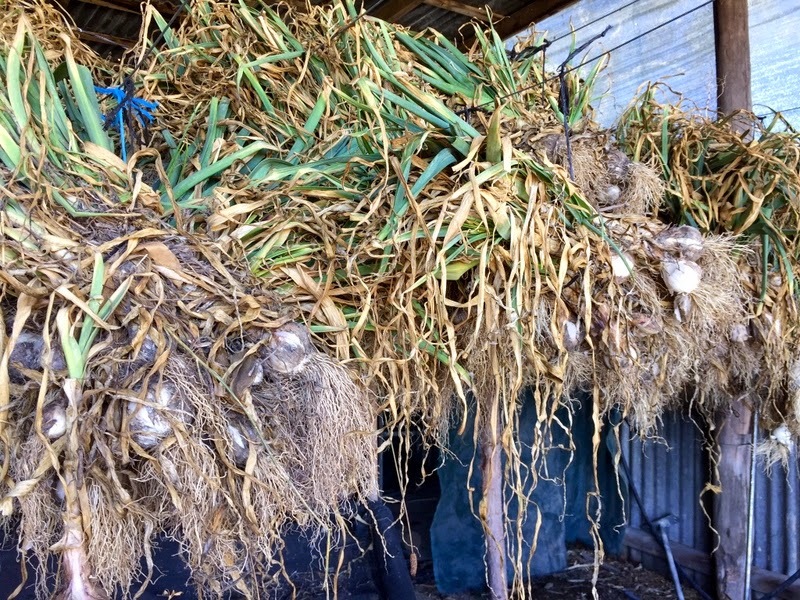 It's garlic heaven at the farm with our certified organic, biodynamic, garlic hanging to dry. Once dry it's transported to our warehouse, sorted and cleaned ready for sale. 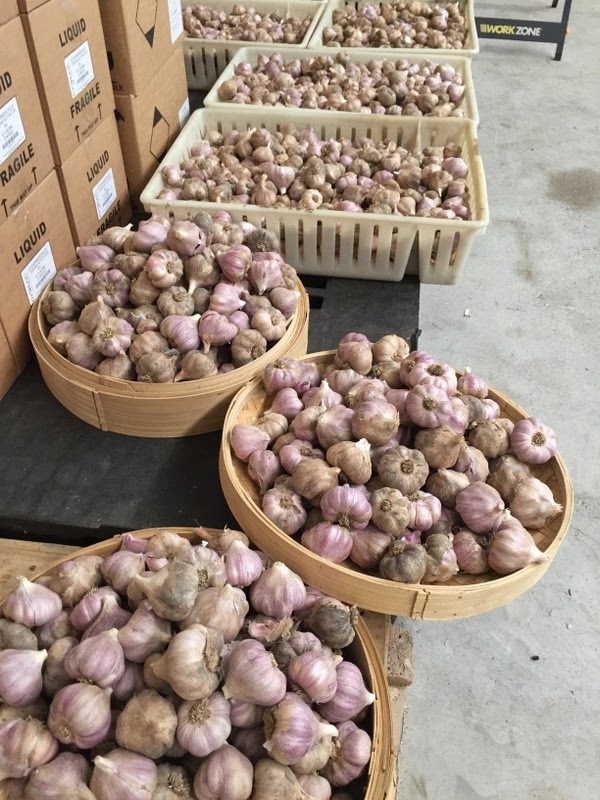 This is our best ever crop! 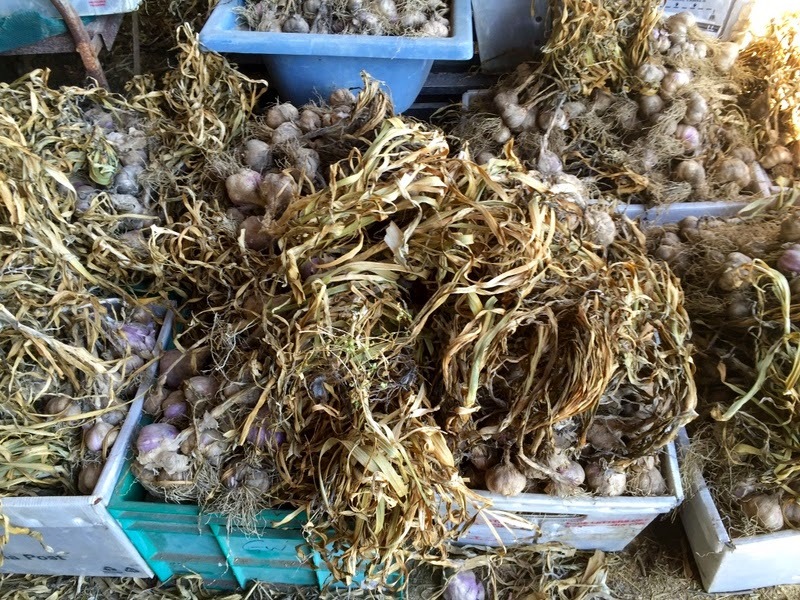 Picking the last of this year's garlic crop today in beautiful Gloucester Sunshine. 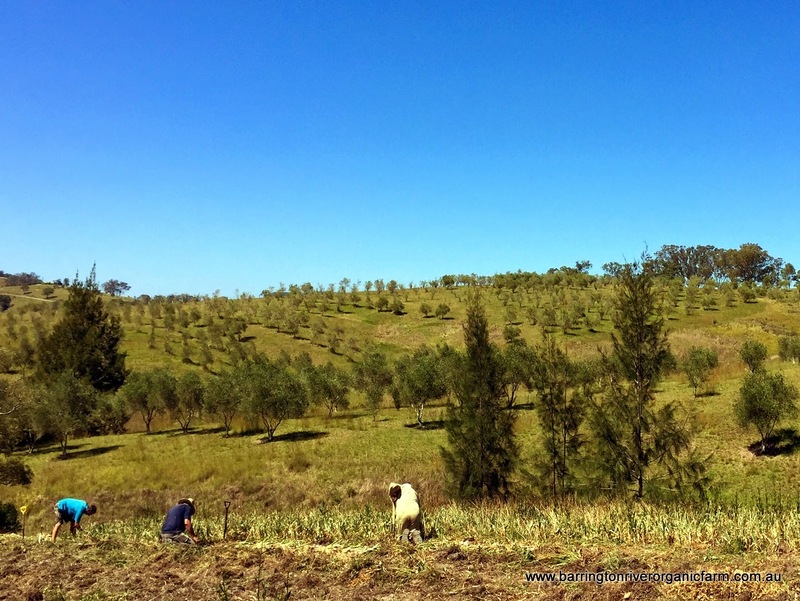 We have garlic for sale - visit www.barringtonriverorganicfarm.com.au to order or to find out more.